If you’re looking for the best airboat swamp adventures in New Orleans then Big Easy Swamp Adventures has the airboat rides for you. Located just 11 short miles from the French quarter. Get ready for the experience of a lifetime on our high speed airboats as you tour 20 thousand acres of new Orleans best swamp areas with wild gators turtles snakes & eagles and the best cypress trees anywhere. Our knowledgeable and entertaining guides will share their love of new Orleans culture with you and the history of the swamp. We offer pickup and drop-off to all hotels located in the downtown New Orleans area…just call and we will arrange your pickup – it’s fast and easy! Your New Orleans Air Boat Swamp Tour awaits – with numerous air boats onsite we can accommodate any size of party you may have! We offer pickup and drop-off to all hotels located in the downtown New Orleans area…just call and we will arrange it all – it’s fast and easy! Do not drive out prior to reservation confirmation. Pregnant women are not allowed to ride the airboat but are allowed on our tour boat. 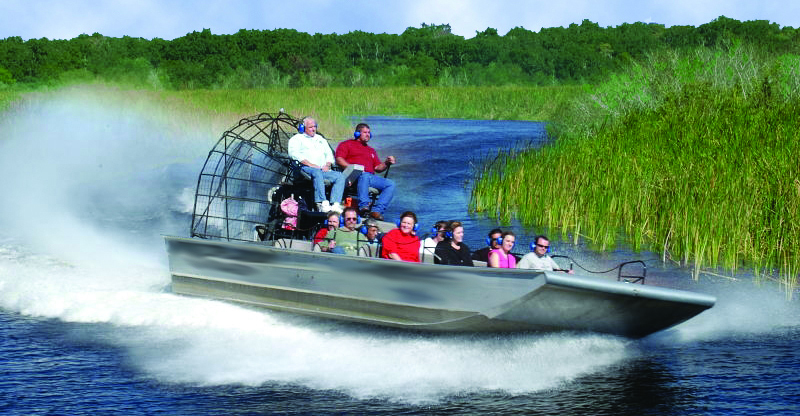 Minimum height 48″ allowed on airboats. Same day/next day reservations by phone ONLY. International Guests: Call 504.621.3858 using WhatsApp. Copyright © Big Easy Swamp Adventures. All rights reserved.